Detail King offers the highest quality products and equipment on the market, to make the average detailer a professional. 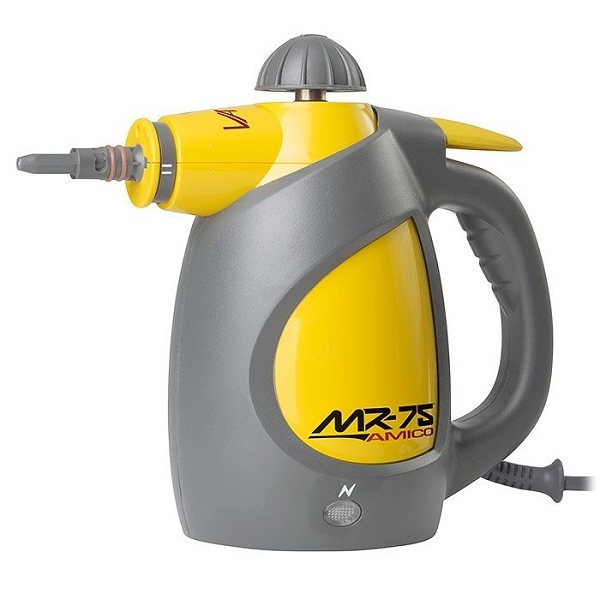 With this Vapamore MR-75 Amico Steamer, you can bet that you will get ahead of your competition. In Italian, Amico means “little friend”. Now you can take your love of steam, wherever you go with the Vapamore MR-75 Amico. This unit is very practical for a mobile auto detailer, and is a must. This clever hand held steam cleaner is designed to move with you as you clean and sanitize vehicles. Detail King also offers an array of tools and accessories that can be used on conjunction with the Vapamore Vapor Steamer. 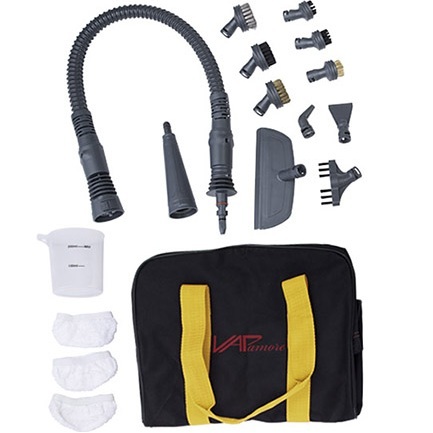 In addition, Detail King offers the highest quality interior microfiber towels and brush kits to be used along side the Vapamore Vapor Steamer, enabling you to achieve superior results. • Performance – It features one of most powerful heating systems in its class, producing steam over 210°F in less than 4 minutes and lasting more than 15 minutes. This machine makes it possible to do quick express interior details, or to be used in extremely grimy conditions. • Durability – Built tough and rigid, this unit also offers 16 attachments superior to the competitions "flimsy" attachments. • Transport and storage friendly – This compact unit features a tank capacity of 6.7 oz and weighs only 3 1/2 pounds, making this unit easy to move from place to place and store. Perfect for a mobile detailer who is limited on space, time and money! Did you misplace your Vapamore MR-75 Amico Vapor Steamer Manual?